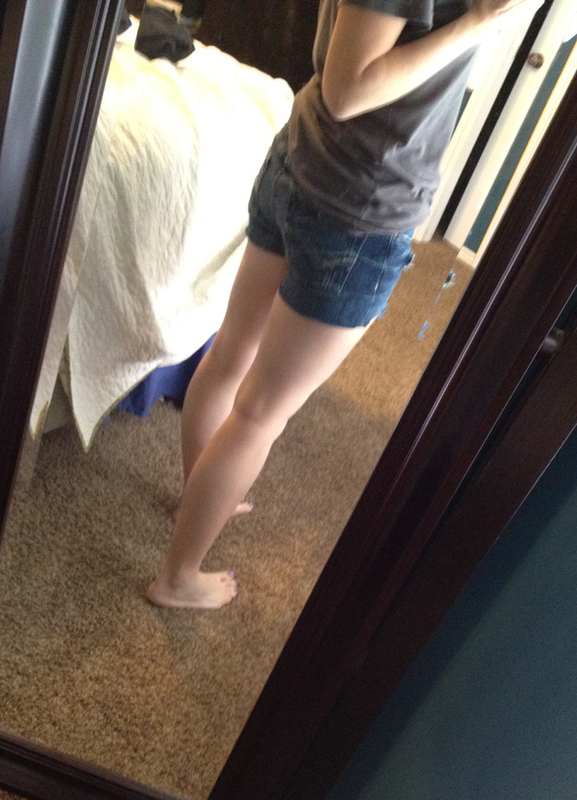 Jean shorts might be my all time favorite clothing item. I live in them in the summer, when I’m not at the office. So for this week’s project I decided to upcycle some jeans I never wear (in fact they were in the giveaway box) into some cute shorts for summer. Woop! 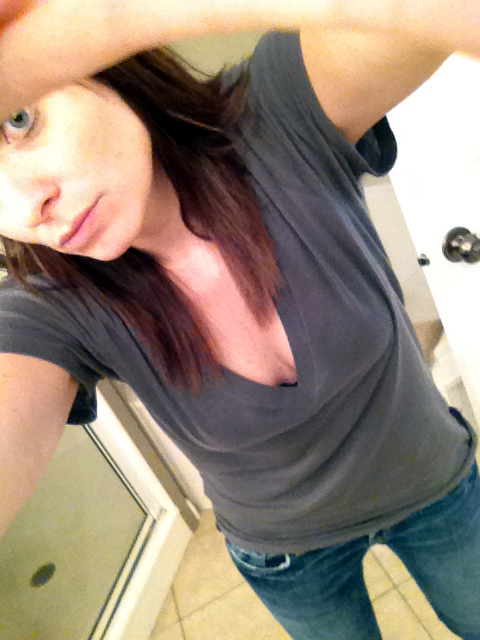 First I tried on the jeans to make sure they fit from the thighs up. I remembered the reason they were in the donate pile was they were too short. Perfect. *Warning: lots of bad iPhone/weird angle photos in this post. I am getting so lazy. They *will* get shorter as you distress them so start out on the longish side! Then make little cuts and start ripping them horizontally until you get the desired look and length. 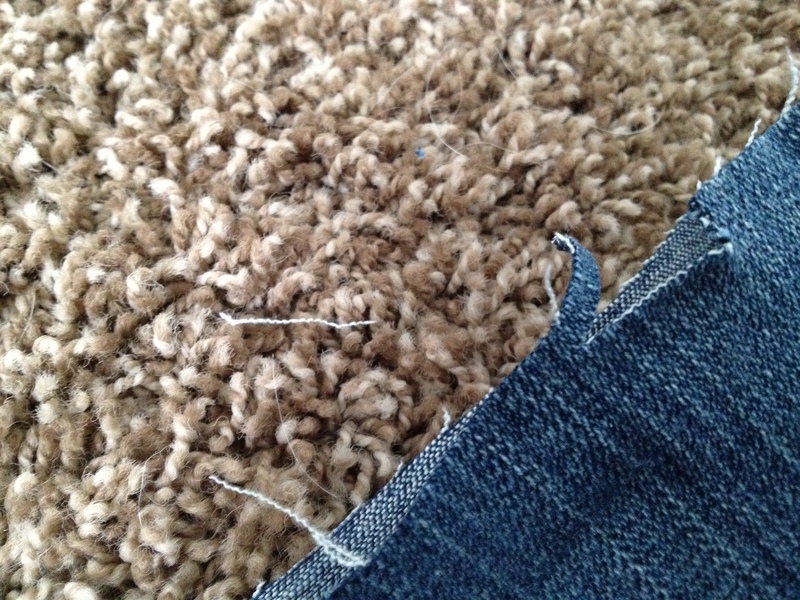 I also used a seam ripper to distress them randomly. Keep trying them on til you get it right. This might mean you are crafting it up in your undies for 30 minutes or so. It’s cool. Just go with it. Bam! 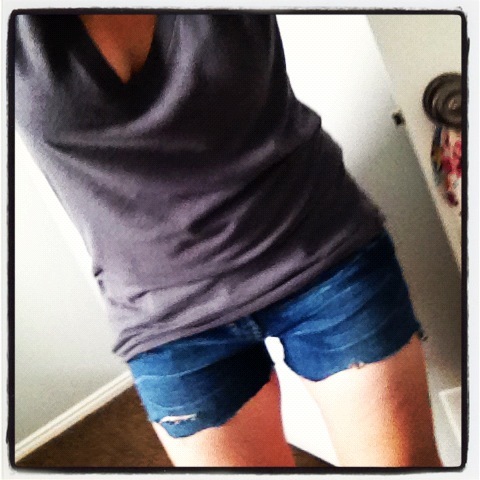 Fun cutoffs you will wear every day (if you’re me). 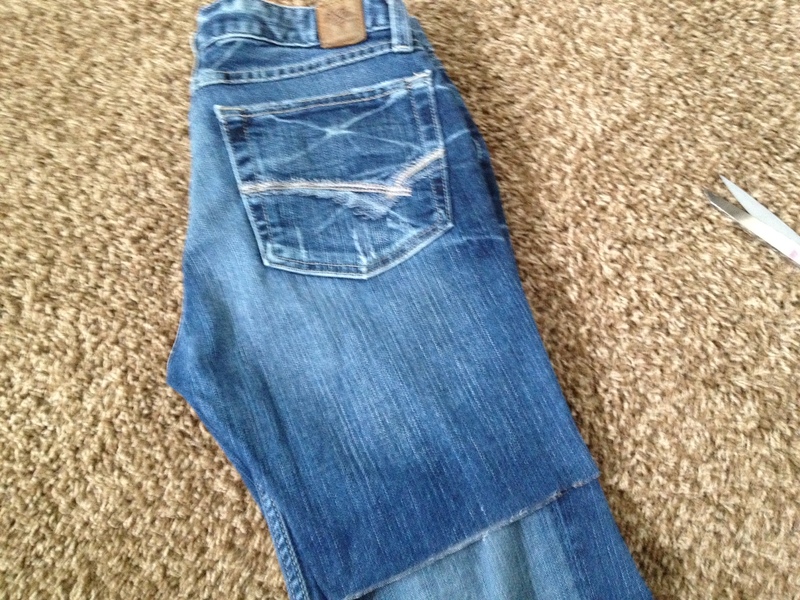 Keep in mind, these will just keep looking better and better as you wash them and they get frayed up. i have another pair I did 5 years ago and they feel like tissue paper and look perfect. Next Next post: buy nothing new for 60 days.. one month down!